Known and loved for its resilience and sturdiness, and the game darling ‘Snake’ – the Nokia 3310 is all set to hit markets again, almost 17 years after its very first launch. 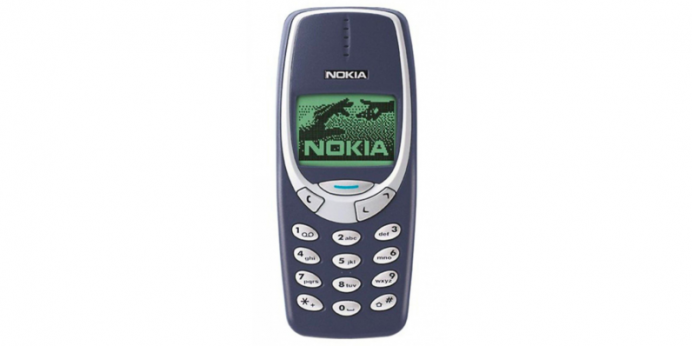 Nokia is planning on re-launching the 3310 at Barcelona’s upcoming MWC conference, sources say. It is rumoured that the re-launched Nokia 3310 will now cost approximately USD 63 and the marketing mantra will be – ‘A way of getting long battery life in an almost-indestructible form factor’. The conference will also see the release of three other Nokia phones, the Nokia 3, 5, and 6 that will run Android 7.0 and whose expected prices will range from USD 159 to USD 265. Despite the fact that the phone company has not manufactured the 3310 in a very long time, the handset still has a fan following who absolutely love the device. Also, the 3310 continues being sold via third-party channels such as eBay and Amazon Marketplace. In today’s day and age when swanky good-looking smartphones show off the red blinking battery sign even before the day is over, there is little doubt that the market for high-endurance but old school phones still has solid potential – phones that look ordinary, but happily last being charged just once or twice a week.